Memorial Day Sale on Hot Designer Clothes!! Going on now! 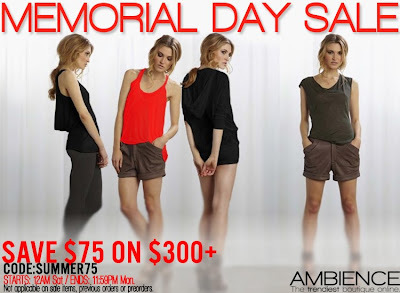 Save $75 when you spend $300+, use code "SUMMER75" at checkout. Better act fast, offer ends Monday at 11:59 PM! Offer not applicable on sale items, previous order or preorders.